The calendar says Spring is just around the corner. Here’s hoping that’s true! 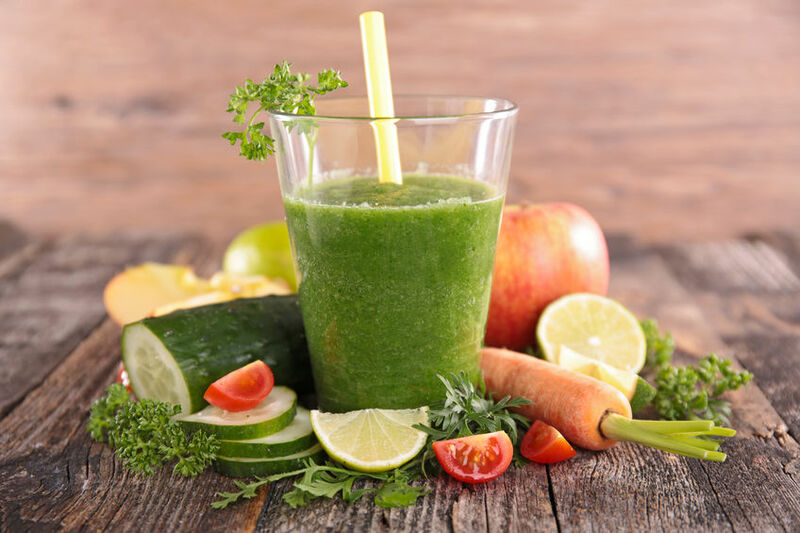 After a long winter of indulging in comfort foods, maybe your body is ready for a change of pace, ready to cleanse. Our bodies store up as much as they can in the winter, trying to keep us warm. By spring our liver, gallbladder, and digestive tract are ready to let go of all that they have held on to, including toxins. The best thing you can do is give them a break. Don’t worry though, I am not talking about a 10 day juice fast or special detox plan. I am talking about healing with real foods. You really needn’t look much further than the produce section and your own kitchen to do a little spring cleansing of your own. A super-clean eating program can do wonders for the body and mind. The great thing about the human body is that it instinctively knows how to cleanse. We just need to give it the right environment to succeed. For instance, feasting on fresh fruits and vegetables is great for the body and digestive system, and doing so allows the organs to do their job without interference. To get started, simply remove what is unnatural, and include what is fresh and real. When support is given to the body nutritionally, it naturally detoxes. Here are some of my favorite foods and ways to help detoxify, hydrate, and refresh your body all naturally, just in time for Spring! Lemon Water – Starting the day with a glass of water infused with lemon (hot or room temperature) is a proven strategy to help cleanse your body. Lemons contain lots of vitamin C and are great for digestion and alkalizing the body. Lemon juice is so versatile in cooking too. My favorite salad dressing is a simple lemon and olive oil vinaigrette. You can also add lemon to smoothies, marinades, and a squeeze of lemon on pasta, chicken, fish or in soup really helps bring out the flavors. And the zest is wonderful on any cooked vegetable. Greens – Go green! Start your body’s spring cleanse by adding more greens – especially dark leafy greens such as bok choy, kale, chard, spinach and collards. Young, leafy greens such as baby lettuces or dandelion leaves, fresh herbs like parsley and cilantro as well as seasonal veggies such as asparagus, radishes, spring onions, chives, garlic scapes and peas are great for a springtime diet too. Raw veggies are highly alkalizing and high in fiber, which helps cleanse the colon and detoxify the liver. Ginger and turmeric are two of my favorite spices any time of year but especially in the spring. Ginger is great for digestion and has strong anti-bacterial and anti-inflammatory properties. Plus it tastes great. Turmeric is another spice that has been in spotlight lately. It is a powerful antioxidant that has strong anti-inflammatory and anti-cancer properties. I make a ginger, turmeric and lemon tea sweetened with a little honey. Yum! Here are a few of my favorite springtime cleansing recipes. Kitchari is a traditional Ayurvedic dish that’s known to assist in detoxing the body and provides awesome nutrients. The combination of beans and rice makes for a complete protein, while the spices stoke our digestive fire. And it tastes delicious! Serves 4 – 6. Drain rice and red lentils in a colander and set aside. For the pesto: place parsley, garlic and walnuts in a food processor bowl and pulse until combined. Add in remaining ingredients and process until smooth. For the quinoa: In a medium saucepan, bring water to a boil over medium heat. Add quinoa and salt. Bring back to a boil, then reduce heat to low and simmer, covered, until water is absorbed, about 15 minutes. Remove from heat and set aside for 10 minutes, still covered. This will allow the quinoa to fully absorb the water and become nice and fluffy. In a large skillet heat about 2 tablespoons of olive oil. Add asparagus to skillet. After about 5 minutes add peas and sauté until tender but still bright green and al dente, about 10 minutes. Then add the spinach and toss to wilt slightly. Remove from heat. Add quinoa and 2-3 heaping tablespoons of the pesto (or to your taste) to the skillet. Mix well. Taste for salt and pepper. Garnish with extra Parmesan if you like. Serve warm or at room temperature. The leftover pesto keeps great in the fridge. Toss spinach and arugula with avocado and citrus. Combine coconut oil, beets and carrots together well and spread on a large baking sheet. Sprinkle with salt and pepper. Roast beets and carrots until tender (approximately 30-40 mins.) Meanwhile, combine all dressing ingredients together and shake well. Wilt greens briefly in a pan over low heat, with the water that clings to them. Toss the beets with dressing and serve atop wilted greens warm or room temperature.